The Earth, Wind & Fire Tribute Band is a talented and committed group of musicians and vocalists whose roots are in gospel music. They share a great love and appreciation for the style and musicianship of the premier band of the 70’s, 80’s and 90’s Earth, Wind and Fire. Selling out venues globally, the grammy-award winning band continues to record and perform for an endearing fan base……… still going strong for over four decades. The EWF Tribute Band is based in Maryland and actively supports its local community, performing at fund raisers, church events, and local historic venues such as the Howard Theater. The Tribute Band pays homage to one of the greatest bands of its era, bringing to life the magical R&B, funk and Jazz sounds that continue to inspire and influence even the contemporary entertainers of today. 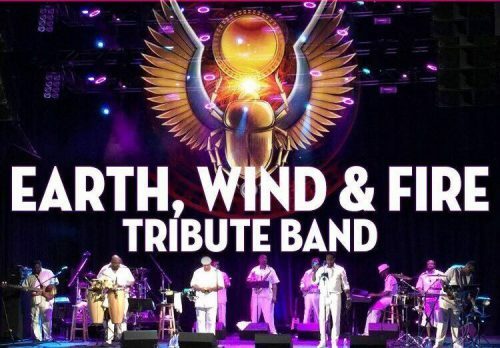 From the funky and “earthy” grooves, to the sophisticated and complex lyrics and orchestrations, the Earth Wind and Fire Tribute Band will continue to keep the music alive so that everyone will know that the elements…Earth, Wind and Fire, will live on forever!